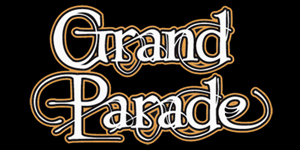 Grand Parade reunites to headline EthelFest! Grand Parade has been performing the music of Genesis for over a decade. With special emphasis on the technically challenging progressive rock era, Grand Parade uses a wide range of electric, acoustic, and synthesized instruments to capture the details of studio recordings while emphasizing the energy and enthusiasm of live Genesis performances. An evening with Grand Parade will include a cross-eras performance of early Genesis music from the 1970s, ranging from the eclectic, often quirky Peter Gabriel-era (along with reproductions of some of his famous costumes and masks) to the lush, romantic, and sometimes jazz-fusion influenced Collins-era. Silver Pipe was formed in 2007 by an eclectic group of veteran Chicago musicians. 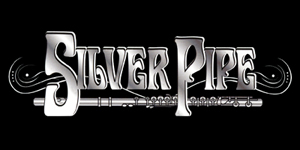 Since then, Silver Pipe has honed a unique and exciting live show, establishing itself before a wide audience comprised of Jethro Tull fanatics and classic rock devotees of all ages. the band channels the music, contagious energy, humorous banter and stage antics that Jethro Tull is famous for into a truly memorable presentation. The Champions of Nothing - Performing Kevin Gilbert's "The Shaming of the True"
With a combined professional musical experience of nearly a century in a diverse variety of genres, "The Champions Of Nothing" have come together to realize the revival of perhaps the greatest rock opera ever written - “The Shaming Of The True.” Kevin Gilbert was one of the most talented musicians/composers/producers of Generation X, counting Michael Jackson, Madonna, Keith Emerson and Eddie Money among his many collaborators. Kevin died in a tragic accident in 1996, at the tender age of 29, during the recording of his magnum opus “The Shaming Of The True.” His colleagues then completed the album for release in 2000, and gave its only live performance ever at the ProgWest festival in 2002. Until now. 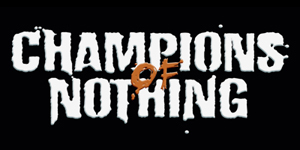 In addition to their many other musical projects, "The Champs" have taken it upon themselves to rescue this masterpiece from undeserved obscurity, in order to keep the musical legacy of Kevin Gilbert alive for the next generation of fans. “The Shaming Of The True” is a classic rags-to-riches-to-rags tale of a young singer/songwriter named Johnny Virgil who moves to LA to try to become a rockstar. In order to achieve this goal he is forced to compromise his artistic integrity, becoming rich but cynical in the process. Johnny eventually succumbs to the allure of drugs and debauchery, and a nervous breakdown forces him out of the game and into further misadventures. This story is all-too-common in show business, but made much more poignant given that it’s mostly autobiographical. Mostly - because whereas an aging Johnny Virgil sometimes hears his songs “on the oldies radio,” Kevin passed away at the beginning of a most promising solo career. Our tribute to “The Shaming Of The True” is also a celebration of the life of Kevin Gilbert, and the star he would have become if fate had been kinder to him. 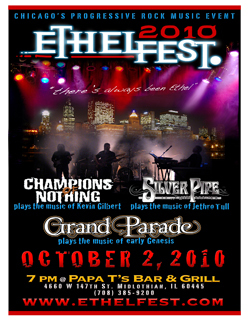 All contents © 2010-2012 EthelFest. Best viewed at 1024x768 (or higher) resolution.